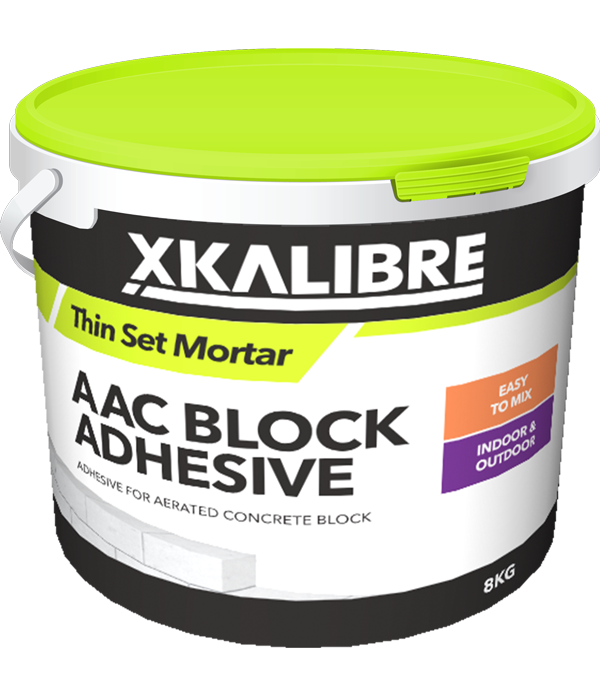 XKALIBRE AAC Block Adhesive is a thin set mortar and is specially formulated for bonding light weight AAC Blocks. It has been developed from a white cement based adhesive and is simple to use. This product is suitable for bonding AAC Block to construct walls in accordance manufacturers recommendations. Typically 8kg of XKALIBRE AAC Block Adhesive will cover 3.5m² at 100mm thick AAC Block or 1.5m² at 200mm thick AAC Block.